Summer is the best time to visit this Roman Catholic cathedral city of France. The weather is at its best from June to September. The sun-soaked city during this part of the year becomes over crowded as tourists from across the globe prefer this season to visit this place. To the local residents, Paris wears a complete new look in August. It seems foreign visitors take the reins of the city in their own hands forcing the locals to accommodate themselves in little space. Most of the well-to-do citizens often abandon this city making space for the foreigners to escape the cramming and excessive din and bustle. Paris gets into a festive mood during this time and welcomes its visitors with an open arm. Not all locals leave the city during this time, some really enjoy the over enthusiasms of the excited visitors which spread like an infection. The entire ambience changes, the city becomes laid back and comes under the grip of the festivity during this time. But it has its negative sides. The beaches are overcrowded, the streets become chock-o-block, the restaurants are filled to the capacity and even many hotels have accommodation problems. The traffic moves at a snail’s pace but that does not diminish the thrill of cheerful visitors. This is the time when Paris hosts numerous free events. Open-air cinemas, live music concerts are added draws for tourists. But one must not forget that all these come at a price and in Paris the price is really high. 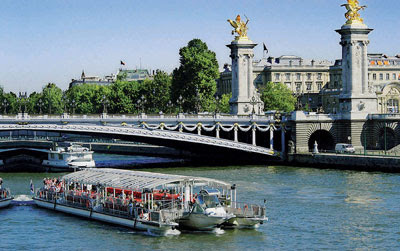 One may mistake Paris for an amusement park while strolling along the well-decked up beaches especially those along the Seine River. August is the perfect time to cruise through the world famous rivers, canals and other waterways. Paris has about 8,000 restaurants which do a moderate to good business during this season. For the French, August is the time to stay laid back. They indulge in hosting parties, going for night outs and different gatherings. Beaches serve several purposes. A lazy stroll along the beaches will arrest your attention to a lot of things happening, some just are just lying and relaxing, others are reading and still others having grand picnics. Every year Parisians enjoy innumerable movies free of cost on a huge outdoor screen, that’s again another event there. Paris in August is usually warm and to some extent sweltering on many occasions but rain also frequent. An autumn-like weather will embrace tourists in Paris during this time.